Last year's Craft Beer Rising festival was named one of 'The UK's Hottest Tickets of 2014' - so don't miss your chance to attend this year's event! East London's The Old Truman Brewery threw open it's doors yesterday to welcome patrons of all things 'Craft Beer Culture' to enjoy a four day fest of music, street food and of course, a veritable abundance of unusual and delicious craft beer. This year's festival has several legendary US craft beers on tap, as well as a contingent of cult brewers from far flung climes like New Zealand. Emerging new talent, such as London's home-grown Mondo Brewing and Bedlam from the English South Downs will be showcased alongside the best of British craft beer. Head down to the iconic and atmospheric Old Truman Brewery to sample over 450 beers from 70 different breweries. Be sure to line your stomach with nosh from the many mouth watering stalls including Burger Bear, Prairie Fire BBQ, Moons Green Charcuterie. If that wasn't enough to keep you entertained, music will be laid on, with a headline act by DJ Jazzie B. Now in its third year and set for another sell-out weekend, the 2015 Craft Beer Rising festival in East London is a sure fire way to banish those winter blues. 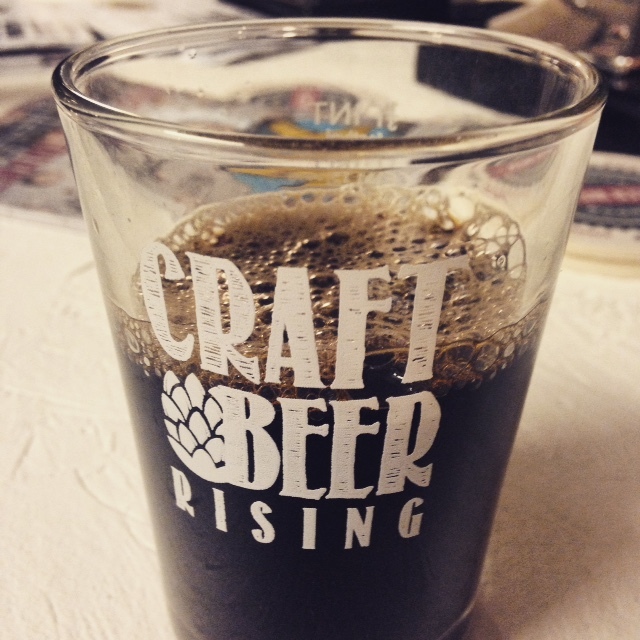 Craft Beer Rising is the action packed highlight of the new London Beer Week. Get yourself down there for a beer and a bite now.